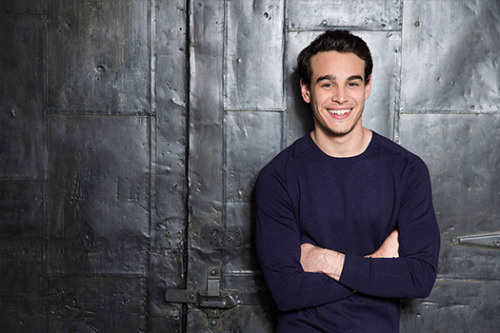 While we count down to Shadowhunters‘ New York Comic Con appearance in October, ABC Family released some stunning cast portraits of our incredibly attractive cast. Cassandra Clare shared some cast portraits used as promotion for Shadowhunters at New York Comic Con, which feature Katherine McNamara (Clary), Dominic Sherwood (Jace), Alberto Rosende (Simon), Emeraude Toubia (Isabelle), Matthew Daddario (Alec), Harry Shum Jr. (Magnus), and Isaiah Mustafa (Luke). Shadowhunters will be at New York Comic Con on Saturday, Oct. 10 for a panel that will feature the first footage from the show, as well as a Q&A with the cast, producers and Cassie! Harry is looking on point, scratch that they are all looking on point.